Kaanapali is the resort area in West Maui just a few miles north of Lahaina. The Kaanapali Beach Resort was developed in the 1960’s, which subsequently opened the world’s eyes to this area as a tourist destination. Since then, many hotels and resorts have popped up and tourists have flocked to Kaanapali Beach and the surrounding pristine Maui Beaches. 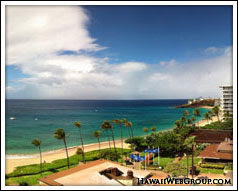 Some of the big resorts found in Kaanapali are the Sheraton, Hyatt, Westin, Kaanapali Beach Hotel, the Whaler, and Kaanapali Alii. Just north of Kaanapali is Kapalua, another resort area.